Yesterday, when Motorola India announced the Moto G5s and the Moto G5s Plus, the company avoided some key details, such as the processor of the lower end phone, and also important detail, which usually makes its devices stand out. 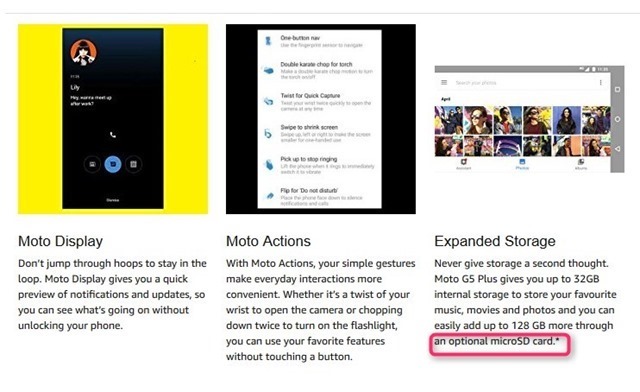 Moto did not make it clear whether the phone has a dedicated microSD card slot. We wrote in our article, that it did have one. But it turns out we were wrong, our sincere apologies for that mistake. We were lead to believe that it would be similar to the other 5th gen Phones from the company, and Moto avoiding this information in the launch slides, is definitely shady on its part. 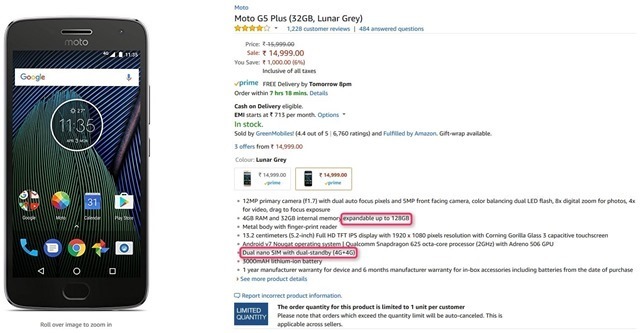 Nowhere on the Amazon India website or Moto’s own page is this mentioned. The * does not have an explanation on Amazon’s website. A Twitter user, Kamal Kishore Upadhyay, shot a question to the company, asking if there is a separate memory card slot or hybrid slot, and Moto India replied that the device has a hybrid SIM slot. 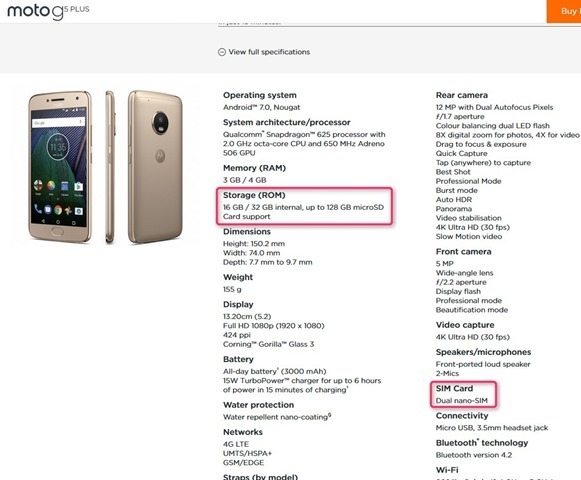 Well, that explains a little about the cost cutting it probably did to include the dual cameras on the phone. So, if you were looking forward to using Dual SIM cards, and a microSD card, you are going to end up disappointed. Does the Moto G5s Plus have a dedicated microSD card slot? The answer is NO.